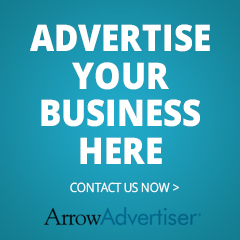 The Arrow Advertiser is proud to have the highest local door-to-door circulation in the four editions, over 48,000 homes and businesses. We have used Royal Mail to deliver the Arrow Advertiser since the first issue in July 2000, is has proved to be reliable and professional. With complete postcode coverage, we can guarantee your message targets all potential customers in all villages and hamlets including farms and private estates. …in sum, it works see what businesses say here! We can offer varied options to suit your budget and campaign, for help and advice on the design, size and cost of your advertisement please call John or Kate on 01789 269465 or complete the enquiry form here.